Emerging adulthood has been identified as an important developmental stage, characterised by identity exploration, instability and open possibilities, in which young people are no longer adolescents but have not yet attained full adult status. 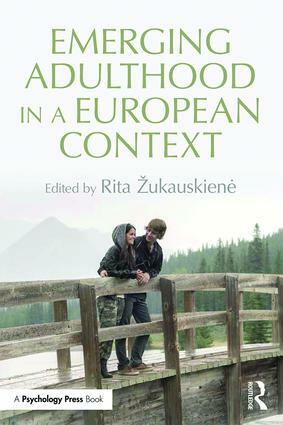 This ground-breaking edited collection is the first book to offer a comprehensive overview of emerging adulthood in a European context, which includes a comparison of findings in 9 different European countries and the USA. Each chapter, written by a leading European researcher, describes the socio-demographic characteristics of emerging adults, reviews the state of the field, synthesises new findings, and provides suggestions for how to move forward in research, interventions, and policy. The book examines how the traditional domain markers of adulthood, such as finishing education and caring for children, have changed. It also highlights how different factors such as gender, working status, living arrangements, romantic status and parental educational background affect the importance assigned to each set of adulthood criteria. The theory of emerging adulthood is further developed by considering how Arnett’s emerging adulthood, Erikson’s early adulthood, and Robinson’s theory of early adult crisis fit together, and data is provided to support the new framework given. The book will be of great interest to researchers interested in these developmental transitions, and to advanced students of Emerging Adulthood on developmental psychology and lifespan courses, and related disciplines.